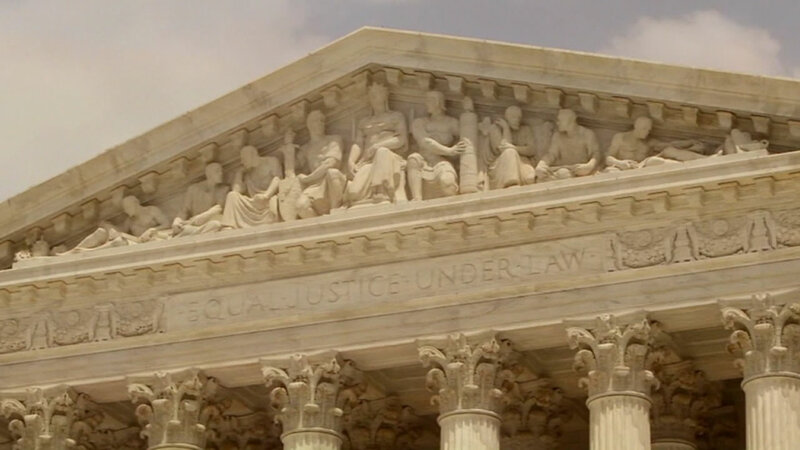 WASHINGTON (KFSN) -- The Supreme Court is rejecting yet another call to decide whether Americans have a constitutional right to carry guns with them outside their homes. The justices on Monday left in place an appeals court ruling that upheld the San Diego sheriff's strict limits on issuing permits for concealed weapons. The high court decided in 2008 that the Constitution guarantees the right to a gun, at least for self-defense at home. But the justices have refused repeated pleas to spell out the extent of gun rights in the United States, allowing permit restrictions and assault weapons bans to remain in effect in some cities and states. More than 40 states already broadly allow gun owners to be armed in public. Justices Clarence Thomas and Neil Gorsuch said the court should have reviewed the appellate ruling. Thomas said the decision not to hear the case "reflects a distressing trend: the treatment of the Second Amendment as a disfavored right." The high court also turned away a second case involving guns and the federal law that bars people convicted of crimes from owning guns. The Trump administration had urged the court to review an appellate ruling that restored the rights of two men who had been convicted of non-violent crimes to own guns. The federal appeals court in Philadelphia ruled for the two men. The crimes were classified as misdemeanors, which typically are less serious, but carried potential prison sentences of more than a year. Such prison terms typically are for felonies, more serious crimes. The administration says that the court should have upheld the blanket prohibition on gun ownership in the federal law and rejected case-by-case challenges. Justices Ruth Bader Ginsburg and Sonia Sotomayor said they would have heard the administration's appeal. Daniel Binderup of Manheim, Pennsylvania, was 41 when he pleaded guilty to "corruption of minors" after acknowledging that he had been involved in a sexual relationship with a 17-year-old employee of his bakery business. The crime is a misdemeanor yet carries with it a maximum prison term of five years, although Binderup was given probation instead of time behind bars. Julio Suarez was convicted in Maryland of carrying a handgun without a license, a misdemeanor with a possible prison term of up to three years. Suarez received a six-month sentence, which was suspended, and a year of probation.